As I mentioned earlier. I’m exploring how I can produce Storyteller Uprising as an enhanced e-book (I even put that question out on Quora). 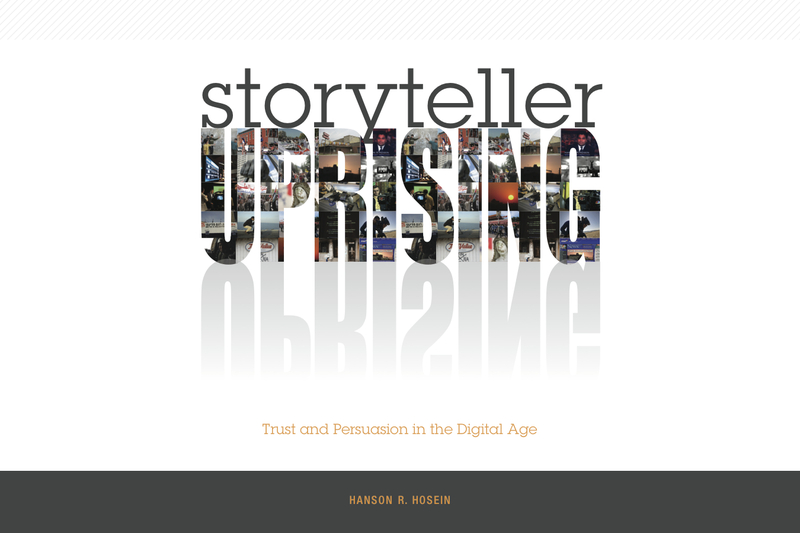 It’d be pretty non-disruptive otherwise to distribute a book about the “uprising” of non-institutional content creators on an established press, wouldn’t it? In the meantime, I’ve got a number of high profile talks coming up, including my kicking off the Storyteller Uprising lecture series for Seattle Arts & Lectures tomorrow. And I’d like to give attendees a takeaway from that event. So I’ve converted the “manifesto” part of the book (part two will be more workshop-oriented, part three might be a “common book”) to PDF e-book through Scribd, and now to a non-DRM Kindle version. I’ve also submitted it to the new Kindle Singles program (at 12,000 words, it falls nicely into that notion of too long for an article, too short for a book, but still a compelling, well-researched idea). Adding your book to Kindle is a good idea because it gives the user a choice based upon the usability preference of the customer. Kindle is a pretty “neat” tool to have. I recently downloaded the Kindle PC version for my laptop and it has given me a new appreciation for the electronic version of a book. I am one of those archaic people who loves to collect books and display them prominently on my bookshelf so the thought of going completely digital is a little bit scary but Kindle is slowly changing my mind. I am impressed with the many features that Kindle offers to its readers such as the highlighting and indexing tools. I think it is also very smart of them to add the ability to know if and when a particular portion of a book has been referenced before. Overall, I believe it is always a good idea to offer your services to as many people as possible using as many platforms as you can to get the word out.